Hi everyone, it’s Jess from Everyday Party Magazine. It’s the season of giving, and if you are like me at all, your list is longer than your budget. Here's a super quick and affordable holiday gift idea! 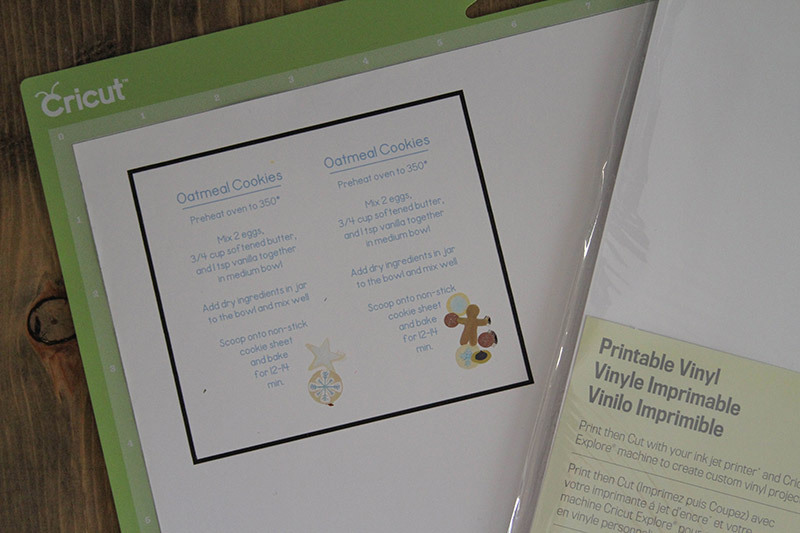 Open Design Space and choose the Cookie Exchange cartridge by Kori Clark Designs. 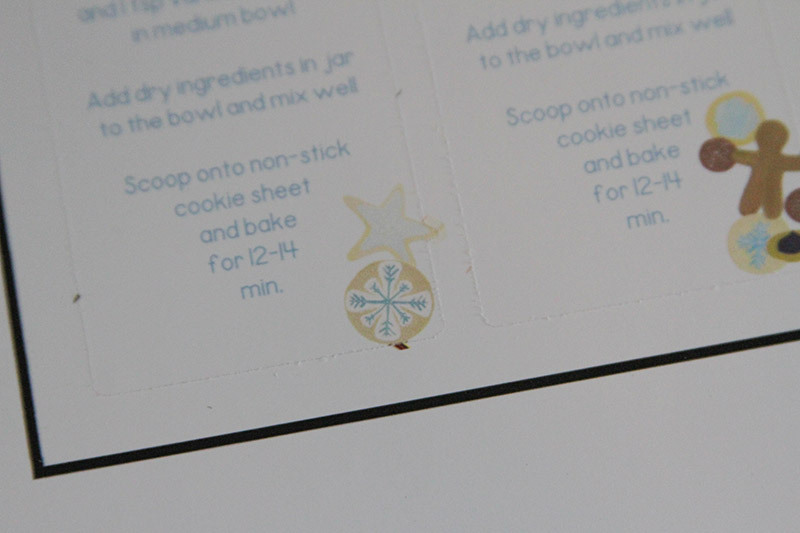 Type the instructions for mixing the wet and dry cookie ingredients, and align it on the stationery where you would like it. 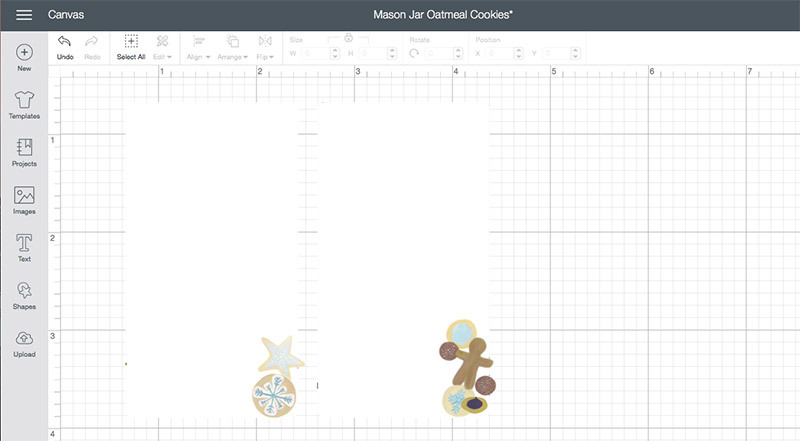 Select the images and text, size it to fit your jar, and attach the images to each other. Next, flatten the images. This will make them a Print, Then Cut file. Place the printable vinyl sheet in your printer and send the file to print. Once it is printed, place it on a StandardGrip mat, and load into your machine. Choose printable vinyl in the drop-down menu, and cut the file. Remove the cut file and apply to the mason jar. 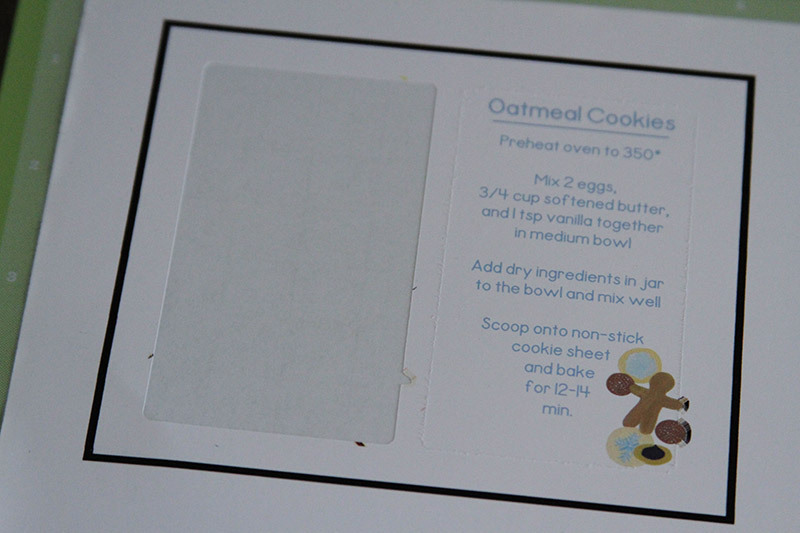 This cut file isn’t a simple rectangle; some of the cookie images on the bottom overlap the edge, and there is a bleed on the vinyl when it prints. Your Cricut will cut around it. I have used printable vinyl for water bottle wrappers, party favor boxes, and so much more. I almost always have several packages at home. 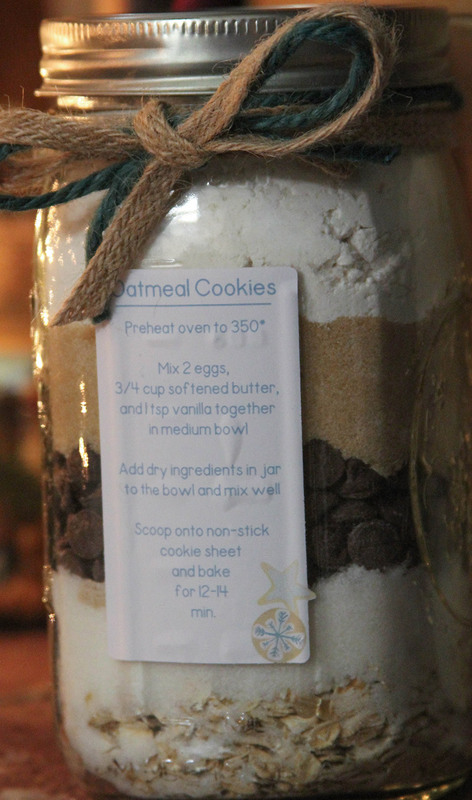 I used an adaptation of our favorite oatmeal cookie recipe and layered the dry ingredients in a pint-sized mason jar. You could easily use any recipe you want, but if you choose to use this recipe, you can get the cut file here. to the bowl and mix well. What's your favorite Mason jar cookie mix recipe? Tell us below! Thank you this so cool!